Emily Browning at 2017 Sundance NEXT FEST in Los Angeles. Emily Browning as Babydoll in "Sucker Punch." Emily Browning at the California premiere of "Sucker Punch." Arielle Kebbel as Alex and Emily Browning as Anna in "The Uninvited." Emily Browning at the LOreal Paris 2005 AFI Awards. Emily Browning at the LOreal Melbourne Fashion Festival 2007 program launch. 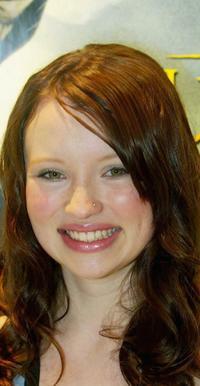 Emily Browning at the opening of the 2006 Melbourne International Film Festival. Emily Browning at the special screening of "Lemony Snickets A Series of Unfortunate Events." Emily Browning at the LOreal Paris Runway 1 show as part of LOreal Melbourne Fashion Festival 2007. Emily Browning at the LOreal Paris 2007 AFI Awards Dinner. Elizabeth Banks as Rachel and Emily Browning as Anna in "The Uninvited." Emily Browning at the Lexus Inside Film Awards InStyle brunch. Emily Browning as Anna and Jesse Moss as Matt in "The Uninvited." 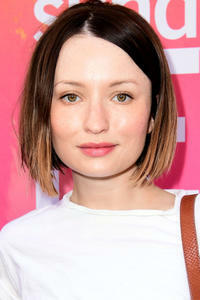 Emily Browning at the Lexus Inside Film Awards nominee announcement. Emily Browning as Cassia in "Pompeii." David Strathairn as Stephen and Emily Browning as Anna in "The Uninvited." Emily Browning at the 2005 Lexus Inside Film Awards. Emily Browning as Anna in "The Uninvited." Emily Browning as Anna and Elizabeth Banks as Rachel in "The Uninvited." Emily Browning at the LOreal Melbourne Fashion Festival opening party. Emily Browning as Anna and Arielle Kebbel as Alex in "The Uninvited." Emily Browning as Lucy in "Sleeping Beauty." Emily Browning at the European premiere of "Lemony Snickets A Series of Unfortunate Events."